This new edition is even more flexible, providing students reminders of strategies printed on standard labels and carried with them in a small booklet. 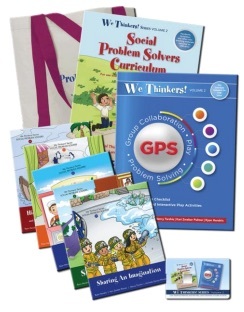 The idea behind this CD/workbook package is that once a student has learned a strategy for overcoming behaviours that may be causing them problems, the instructor sticks the strategy sticker in a flip notebook. The student carries the flip-book with them throughout the day. With the flip-book, the student can easily and discretely refer to the strategies they have already learned to solve problems with independence. The result is fewer behavioural breakdowns and classroom disruptions. 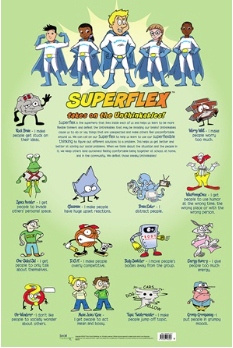 Sticker Strategies teaches self-reliance and problem-solving anytime, anywhere. Information on Purchase Orders here. 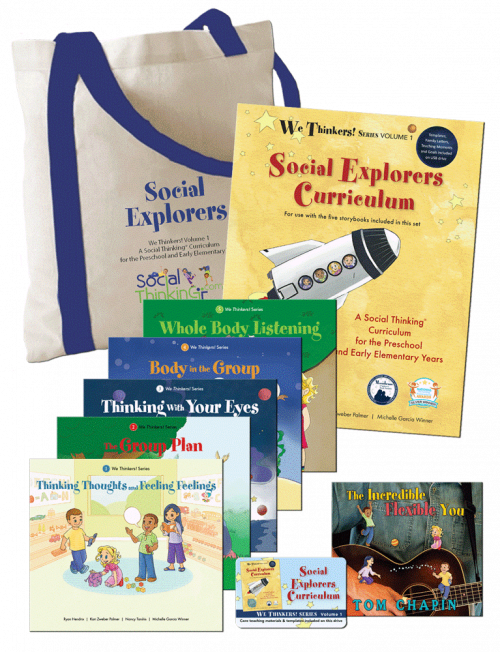 The idea behind this CD/workbook package is that once a student has learned a strategy for overcoming behaviors that may be causing them problems, the instructor sticks the strategy sticker in a flip notebook. The student carries the flip-book with them throughout the day. With the flip-book, the student can easily and discretely refer to the strategies they have already learned to solve problems with independence. The result is fewer behavioral breakdowns and classroom disruptions. 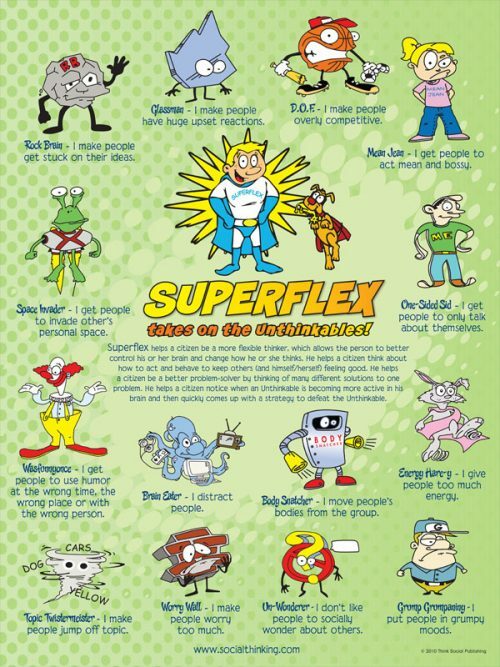 Sticker Strategies teaches self-reliance and problem-solving anytime, anywhere. This is a great tool for a student that recognises their weaknesses and is motivated to improve. This tool is not effective for students that either don’t realise that they need improvement or who aren’t motivated to help themselves. 2nd Edition – more flexible, much more cost effective! Now, not only can you print however many strategies you want onto a variety of flip books, but you can customize and save the formatted stickers in Word for individual students or behaviors and add your own notes in the Word document. The previous book included actual stickers, making the book expensive to print. 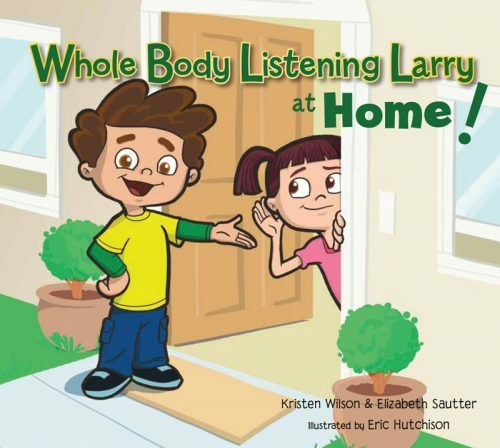 This CD/book package is half the earlier version’s price and even more versatile! 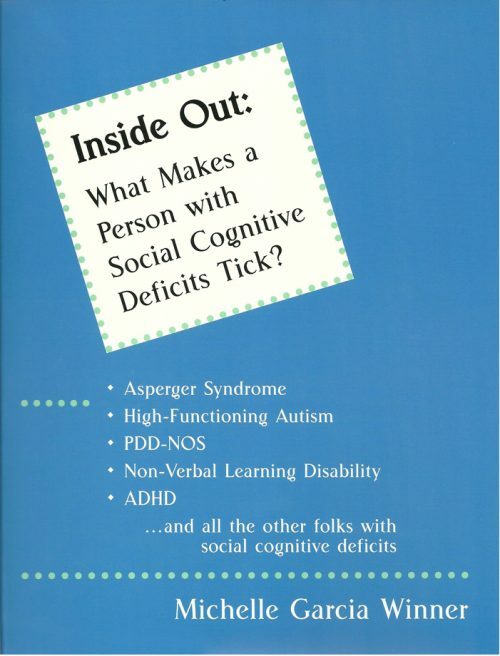 Sticker Strategies on the CD and in the book enhance the lessons of the previous book, including learning how to respond appropriately to the size of problems, understanding the Spirals of Social Success and Social Failure and strategies related to the Levels of Friendships – how to keep friends and be friendly as appropriate to these levels. 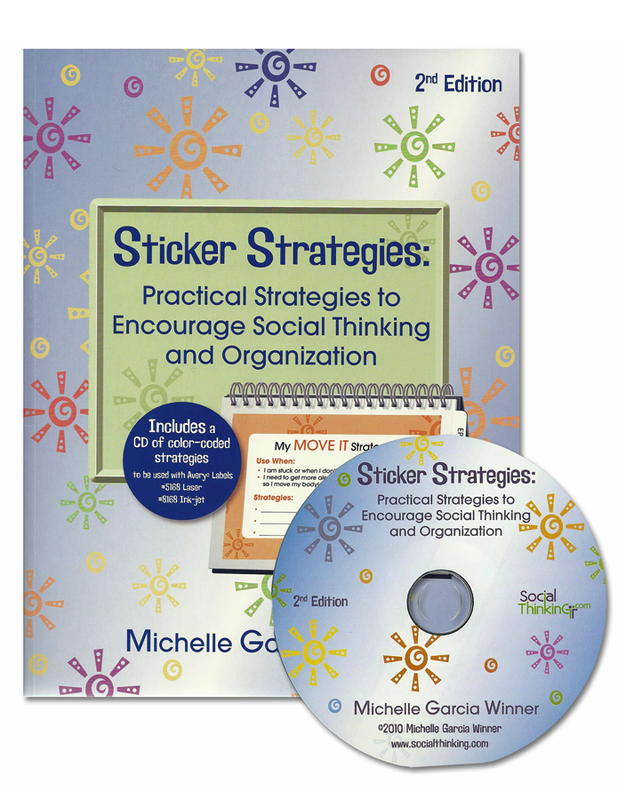 “Michelle Winner’s new Sticker Strategies book is a valuable addition to our social thinking groups for generalisation of a wide range of skills. This new book allows me to spend more time with students and less time making materials. Thank you, Michelle.” Patty O’Meara MS, CCC, Speech–Language Pathologist and Autism Specialist. 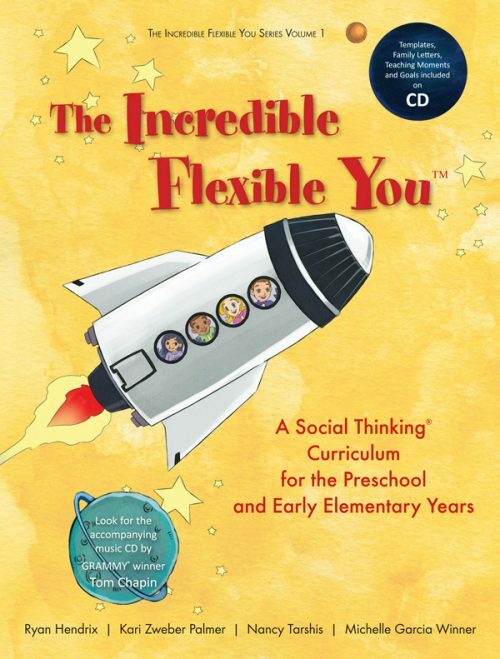 “Sticker Strategies is a wonderful resource designed to transform abstract concepts into a more concrete format thus providing our students with choices that support greater flexibility in personal problem solving.” Louise Patrick MA, CCC, Speech–Language Pathologist and Autism Specialist, Hilo, Hawaii. CD (Mac and PC compatible) accompanies a 59 page paperback book – stickers can also be copied from book. This innovative tool is best for 3rd grade to 12th grade students. PLEASE NOTE: Labels and spiral notebook not included in package but available at office supply stores. 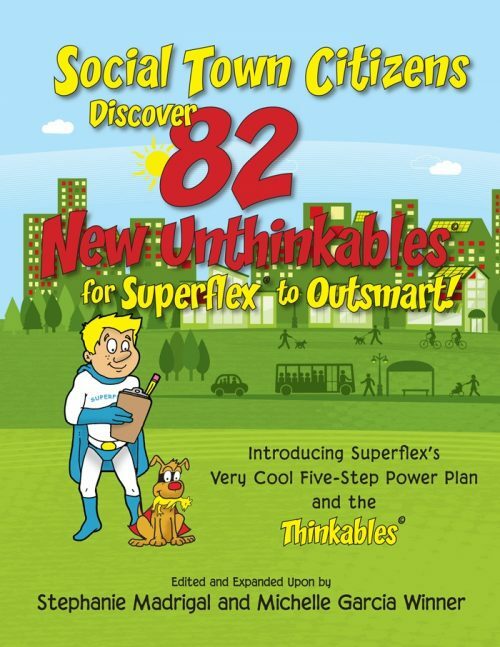 Social Town Citizens Discover 82 New Unthinkables for Superflex® to Outsmart!